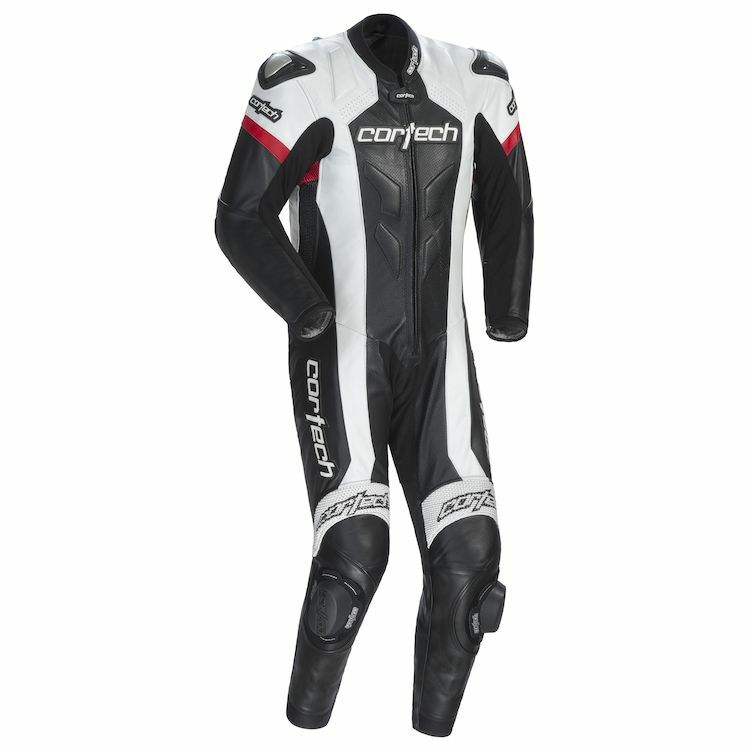 The Cortech Adrenaline RR is a race-ready, 1-piece Race Suit at an affordable price. This stylish and comfortable suit is jam-packed with features such as perforated and non-perforated cowhide leather with accordion stretch panels in key areas for more flexibility. The sleeves are pre-curved and rotated into the riding position with TPU molded metal external armor in the shoulder and elbows. The cuffs have a neoprene comfort panel with a spring-loaded zipper for a custom fit. Seams are triple stitched with high strength threads. Adding to all these features are included knee sliders and a convenient storage bag.